“Bert” Passed away peacefully on January 10, 2019 at the age of 72 with her family at her side after a short illness. She is survived by her son Melvin (Martina) Muir, daughter Barbara (Terry) Hein, grandchildren Jordan and Nathan (Celeste) Hein, sisters Diane (Eric), June, Darlene (Larry), Ruby (Iain). Roberta was pre-deceased by her husband Stuart in February 2018, parents Eli & Gladys and her sister Dorothy. Roberta was born in Medicine Hat, AB, the second eldest of 5 sisters. She moved to Leduc, AB where she met and married her true love Stuart and had 2 children. In 1972 the family moved to Whitehorse, Yukon where she enjoyed working, camping, fishing, travelling to Alaska & spending time at their cabin at Marsh Lake. In 1981, they relocated to Kelowna, BC, where she worked as a sales associate for Naturalizer Shoes & Bi-way then later managing Subway Restaurants until she retired. Co-owning with family, 3 DCT Chambers Trucks and Your Dollar Store With More in Grand Forks, BC kept her busy & happy. Roberta loved spending time with her family, friends, her dog Mocha-Bean and spending winters in Arizona. On most days you would find her cooking, gardening, working on a puzzle or scrapbooking. Roberta took pride in making sure you always had a full drink in your hand and never left hungry! A Celebration of Life will be held on Saturday, February 23, 2019 at 10:30 am at Springfield Funeral Home Family Centre, 2020 Springfield Road, Kelowna, BC. In lieu of flowers, donations may be made to the Canadian Cancer Society, www.cancer.ca. 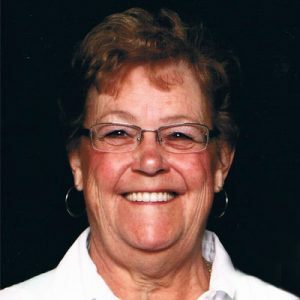 The service for MUIR, Roberta Ann (nee Shaw) is scheduled for Saturday, February 23, 2019 at 10:30 am. Below you will find the map for the service location and the contact information should you have any questions. Barb, Terry, Jordan, Nathan, Melvin and Martina.. My sincere condolences on the loss of your mom and grandmother. She was a terrific lady and her beauty and joy for living shines in all of you. Take your memories of her and allow them to give you comfort.. I will always remember Roberta for her infectious laugh.